Fully embroidered shirt in black color. 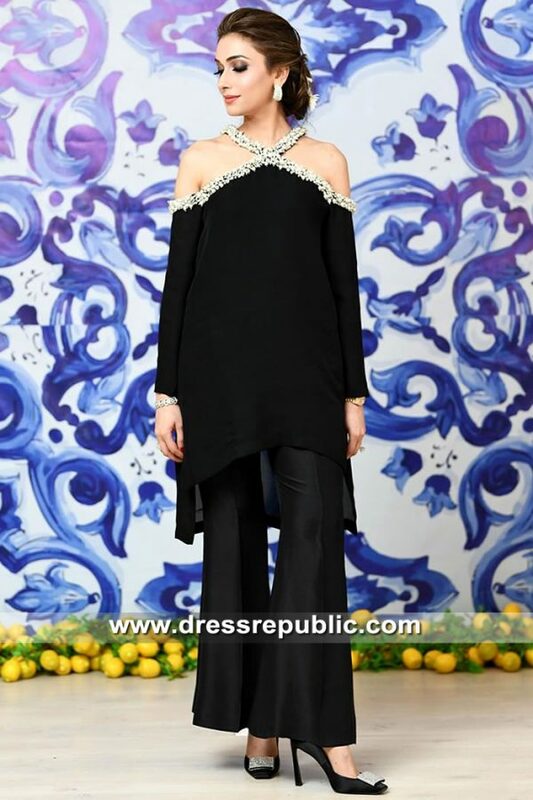 Exquisite embellishments accent the neck, front and sleeves. 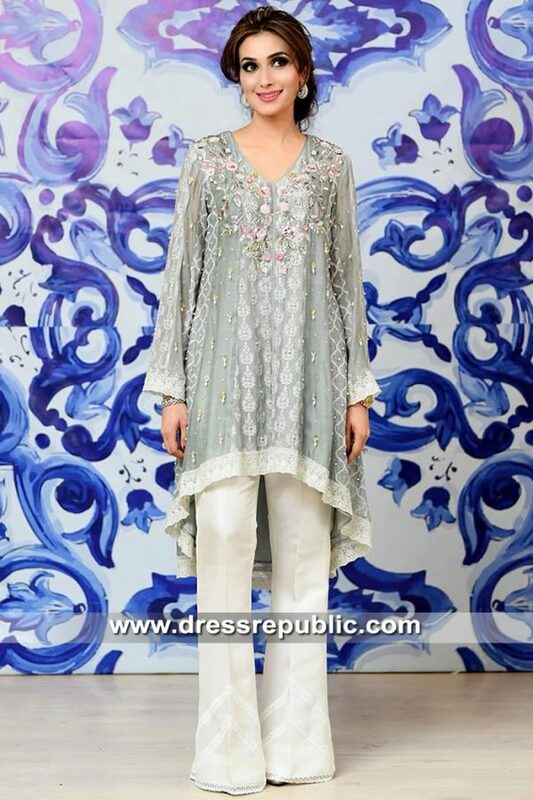 Raw Silk straight trouser; small sized ornamental motifs are embroidered all over; hidden zipper. 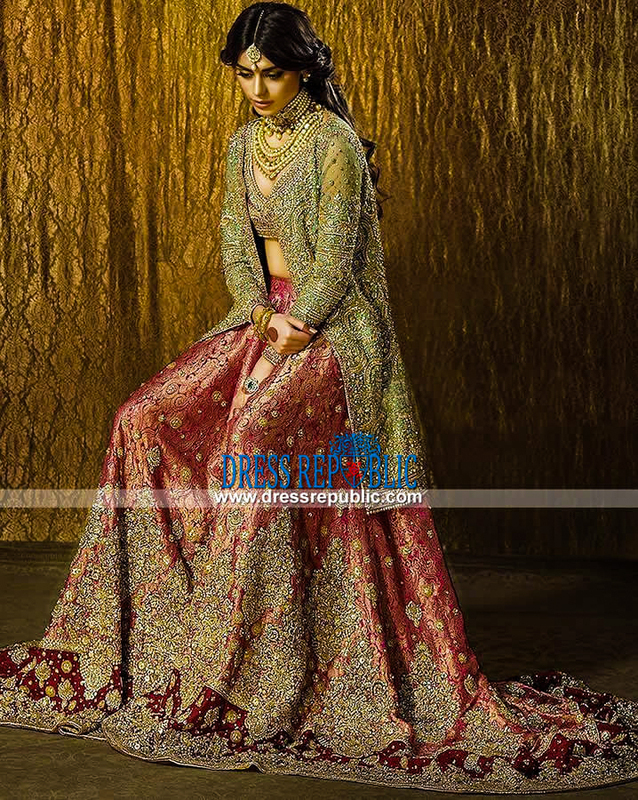 Crinkle chiffon dupatta features extensive sequins embellishments; appliqued border finished.